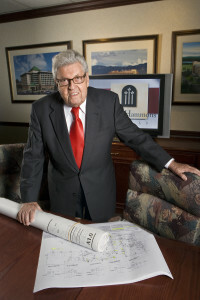 Hotel developer John Q. Hammons has died, according to a statement from his company, John Q. Hammons Hotels & Resorts. He passed away May 26 in Springfield, Missouri, at the age of 94. Over the course of his 52-year career in the lodging industry, Hammons developed 210 hotel properties in 40 states and was presented with numerous lifetime achievement awards. “Hammons introduced the hospitality industry to signature-style, full-service hotels featuring atrium lobbies, expansive meeting and convention space, large guest rooms, podium check-in stations and complete business traveler amenities that have become staples in a guest’s exceptional experience,” according to the statement.